Choosing a Medigap Policy: Learn More About the Medigap Pro Here! When you choose to work with the Medigap Pro, we can help you to find the best priced Medicare supplements–we promise! At the end of the day, that’s how we measure our success. In other words, the thing that drives us to continue doing what we do is to help people out when it comes to choosing a Medigap policy that works best for them. The way that we do that is by ensuring that you get the lowest possible prices across the board. The question above–“what would I do if I were in your situation?”–is approached from the perspective of utilizing Ted’s experience and knowledge from within the health insurance industry. The fact of the matter is that Medicare, Medicaid, and Medigap are confusing for a number of different people, but the good news is that when you choose to work with the Medigap Pro, you’ll have an expert in your corner who has your best interests at heart. From AARP supplements to prescription drugs to dental plans, there are plenty of things to consider. It can be overwhelming, to be sure, but we’ll always be in your corner to lend a helping hand. Do You Need Help Choosing Medicare Supplement Plans in Arizona? We’ve written about obtaining Medicare insurance in the past, advising readers to take advantage of Arizona’s State Health Insurance Program, as well as determine your date of open enrollment, try to deepen your knowledge of Medicare, and know what your needs truly are. Not everyone is going to need the same things from insurance companies, making these steps important for anyone enrolling in Medicare. At the end of the day, the fact of the matter is that this can all be a lot to think about and mull over on your own. Fortunately for you, you don’t have to! When you’re unsure about which steps to take and you need to make a decision, we are happy to announce that you can put your trust in the Medigap Pro to lend a helping hand. 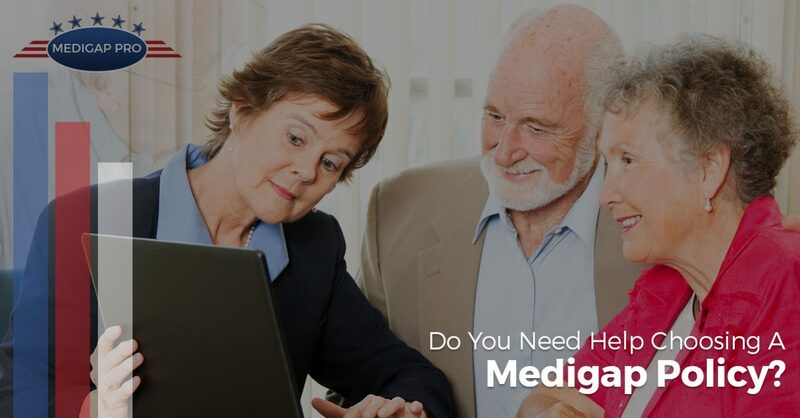 It’s incredibly important for many people to have someone in their corner who know the ins and outs of Medicare and that’s exactly what the Medigap Pro offers. When you need assistance, rest assured that we’re here to help. To get a free quote, simply fill out this form or call us at 800-535-8016 and fill us in on your situation. We’re located in Arizona, but we’d be glad to help you wherever you are. Reach out today, because we look forward to helping you get the best priced Medicare supplements–we promise!